Warmth and comfort–without the bulk. With flatlock stitching throughout, this lightweight, versatile jacket is cozy on its own or layers easily under a jacket when it’s cold. Reverse coil zippers, front zippered pockets, open cuffs and an open hem. Contrast Eddie Bauer logo embroidered on the left sleeve. 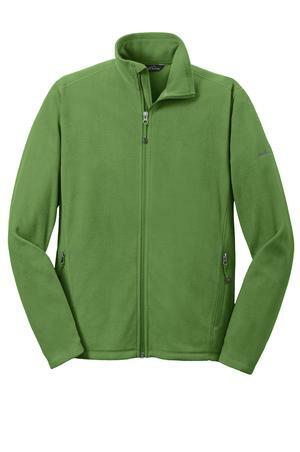 Made of 100% polyester microfleece with an anti-pill finish.